The Overwatch League has added to its rapidly expanding collection of widely loathed traditional-sports honchos, as Stan and Josh Kroenke, owners of Arsenal, the Los Angeles Rams, a dizzying array of Colorado franchises, and whatever is on Stan’s head have bought a Los Angeles team for a reported $20 million. The Kroenkes aren’t the first big names in traditional sports to buy into the Overwatch League. In July, New England Patriots owner Robert Kraft purchased the Boston Overwatch slot—a nice complement to his casino holdings—while New York Mets COO Jeff Wilpon, of the famously savvy Wilpons, grabbed the New York team. Just why bigwigs like Kraft and the Kroenkes are spending so much on Overwatch teams—something like 10 times as much as it would cost to buy into the more-established League of Legends League Championship Series—isn’t quite clear. What is clear is that not everyone is happy about them getting to do so. In a follow-up tweet, Mathews, who did not respond to a request for comment before publication, suggested that Blizzard had not expressed interest in Fnatic’s Overwatch team. Despite this drama, there’s an upside here: If Cloud9 chooses to draft London-based players, there are several former Fnatic pros looking for work, while if the Kroenkes want some names of decent L.A.-based Overwatch players, Cloud9 might be able to hook them up. Additionally, aspiring esports moguls looking to anger fans by moving their teams or poorly managing their budgets like a true traditional-sports power will now have a powerful and experienced role model with vast experience to learn from. 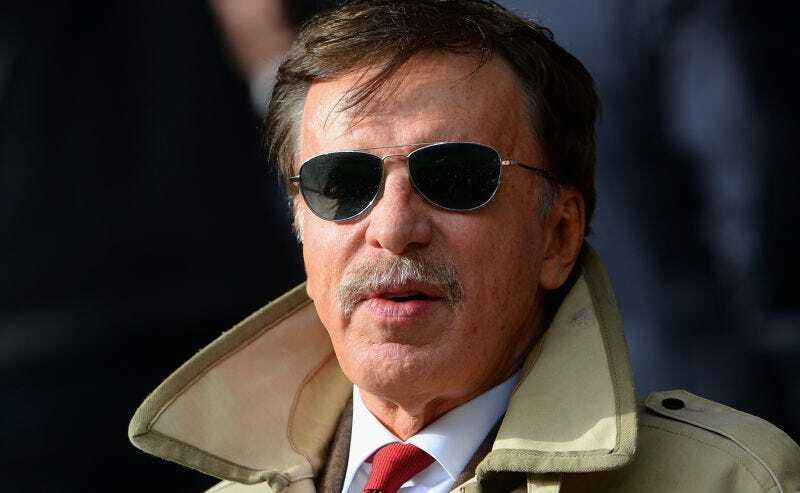 What Is That Thing On Stan Kroenke&apos;s Head?